We all know there are different indicators of what makes a supercar special. Design, brand, performance and so on. Although all those indicators are quite important when it comes to supercars, this list takes a look at performance only. Let’s face it, when it comes to speed, every car lover is keen to hit the throttle of one of these following cars. So start your engines and let’s get ready. The following cars are the Top 10 of the fastest cars in the world as of the end of 2016 and beginning of 2017, only considering the top speed the cars can reach. And of course, we are talking about street legal cars. Starting off with the “slowest” of these supercars. The Aston Martin One-77 has a top speed of 355 km/h. 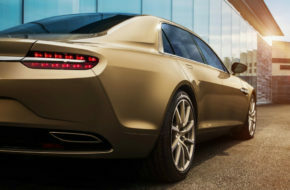 Only 77 units, as the model name already indicates it, were built. The One-77 is the fastest road-going Aston Martin which was ever built. Click here to see all Aston Martins JamesEdition has up for sale. When we are talking about supercars, Pagani is a brand which comes directly to your mind. Although the company is quite young, compared to others, they took over the market by storm. The Huayra is known for its performance and its appearance. Although it’s more at the end of our list when it comes to speed, the Huayra surprises when it comes to accelerating. With a top speed of 370 km/h, the Huayra is on 9th position in our Top 10. Click here to see all Huayras JamesEdition offers. On the 8th place, we have the Zenvo ST1 with a top speed of 375 km/h. Manufactured by the Danish company Zenvo, the ST1 is handmade by a small team. Place 7th is an oldie but goldie. Although the McLaren F1 is not a car from 2017 but even after 23 years, the car still manages to hit the Top 10 of the fastest cars. With a top speed of 386 km/h, the F1 made it easily into the Top 10. 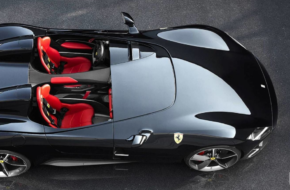 The car is a three-seater car with the driver seat being in the center in front and two passenger seats on the sides. To see all McLaren JamesEdition offers for sale, please click here. With only a very small range of units available, this car was the reason for fights between car lovers more than once. 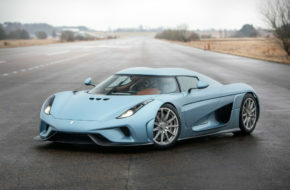 The Koenigsegg CCX came in on the 6th position in this ranking. With a top speed of 395 km/h, we are close to hitting the 400 km/h mark. The CCX was first introduced in 2006 and it was created in order to meet worldwide regulations for road use. Click here to see all CCX JamesEdition offers. The Bugatti Veyron Super Sport is a car of superlatives. With a top speed of 430 km/h and 1,200 PS, this car is a real stunner. The basic version can already be purchased for $1.8 million, whereas the special black-orange edition – which is limited to 5 units only – costs around $2 million. Click here to see all Bugatti’s JamesEdition has for sale. We just entered the Top 3 of the fastest supercars of 2017 and on 3rd position is the Venom GT made by Hennessey. The car is based on a modified Lotus Exige and has a top speed of 435 km/h. You can see the top 5 are very close when it comes to performance. On 2nd place, we have another model from the Swedish car manufacturer. The Agera R has a top speed of 458 km/h and is, therefore, the second fastest car in 2017. Click here to see all Koenigsegg’s. The fastest car in 2017 is also made by Bugatti. The Bugatti Chiron is the successor of the Bugatti Veyron and offers a top speed of 464 km/h. However, the car is restricted to 420 km/h due to safety reasons. Click here to see all Bugatti Chiron’s JamesEdition offers. As you now are familiar with the fastest cars in 2017, you only have to choose which of these exceptional cars suits your needs best. We are sure there is a perfect match for everyone.